Washington (CNN) – Hillary Clinton – and her personal office staff – are going home. Sort of. Clinton, the former senator from New York, is moving her personal office to a large high-rise building in Midtown Manhattan, according to Nick Merrill, Clinton's spokesman. Although it was widely reported and speculated that the office space will be used as a headquarters for Clinton's possible presidential campaign, Merrill told CNN that the move is nothing more than Clinton's personal office staff of "less than a dozen" people moving into a bigger space. The speculation, however, hasn't stopped other building tenants from naming the new office. "Everybody in the building is starting to call it the campaign headquarters," said a source who works in the building. The office is on a high floor in the 40-floor building, according to a source who works in the tower. Clinton was spotted at the building last week on June 30th and, according to the source, was then spotted again yesterday. Merrill told CNN that Clinton's personal staff moved into the space last week. HollywoodLife.com, an entertainment and gossip website, posted a story about Clinton's new office on Tuesday night. The site, which referred to the office space as Clinton's campaign headquarters, reported that the former secretary of state signed a two-year lease on the property. Despite never actually living in the Empire State before running for office there, Clinton represented New York in the U.S. Senate for eight years before she accepted President Barack Obama's offer to serve as secretary of state. One of the Clinton family's two home is in Chappaqua, New York – a town less than an hour from Clinton's new office. Clinton has played coy with her presidential aspirations of late, but has admitted that she is thinking about a run. 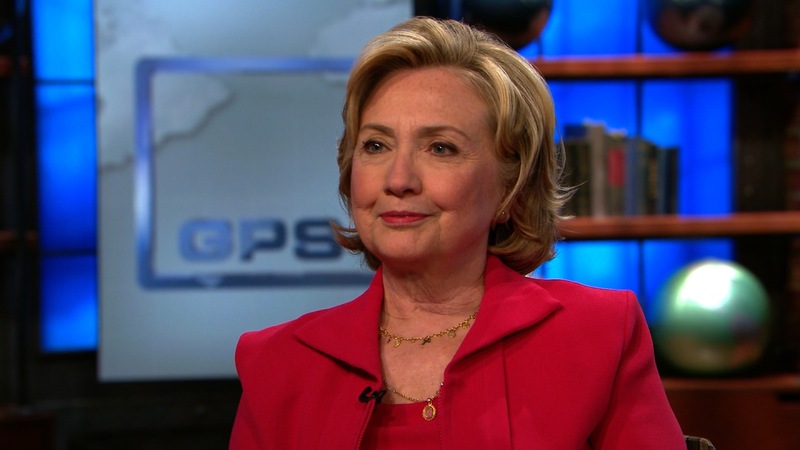 Her last presidential run – in 2008 – was headquartered outside of Washington, D.C.
People within the sizable Clinton orbit, however, have speculated that should she run in 2016, he headquarters would likely be somewhere closer to her and former President Bill Clinton's New York home. Clinton would have to go higher than that for one to evade all the hot air coming out of that campsite man . Maybe HUD help her out this time until she gets back on her feet . Hillary should enjoy the high rise view while she can. It won't be long before she moves her office into the White House. Interesting that quoted they were flat broke in one month. Then couple later in a expensive high rise building in New York. Bet the sales of the book didnt pay for it. Wouldnt have covered two months rent by sales so far. Sorry New York. You got her now.. We dont. Live with it..
"Despite never actually living in the Empire State before running for office there, Clinton represented New York in the U.S. Senate for eight years ....."
That is patently false. New York had a two year residency requirement. The Clintons purchased a home in Chappaqua, New York in 1998. Hillary and Chelsea moved into it. Bill Clinton made frequent visits up there from D.C. I hope we don't have to listen to her repugnant voice and look at her scrotum face for four years. why isn't she locating her office in harlem? she claims to represent the 99% yet hangs out with the 1% all the time. claims to be broke while raking in millions. yes, just more left wing fairy tales being sold as truth. Keep pinning all your hopes on Hillary. No seriously... keep doing it. I was going to move to a High Rise in Manhattan but a wheel broke on the Turnip Truck and after fixing it I am Dead Broke! JA, a weak statement, even considering the source. @ just asking, just like the fairy tales like WMDs in Iraq, supply side working, the GOP claiming to want to help people empower themselves and then depriving them of the means to do so? I could go on all day, reciting GOP lies and nonsense, but I have other things to do. Since you know your pathetic clown car is incapable of producing anyone with the stature to unite this country, please spare us any more patently absurd statements to make on so-called " left-wing fairy tales", alright? Save yourself from embarrassing yourself in front of the others at the nursing home. When the truth doesn't hurt, lie. JA, you feel the need to take everything out of context, what's the matter, can't make a credible argument without your gutter tactics, your one sad puppy. Maybe they can help you relocate your trailer. Tell us all about it, she said they were broke at one time, you just don't read well when it doesn't support your narrative huh, your mom still loves you though, be thankful for that much. why isn't she locating her office in harlem? Bill Clinton did exactly that almost immediately after he left the White House. He opened an office on 125th Street in Manhattan, right down the street from The Apollo. It became a logistical nightmare every time he came and went. There are more alternate routes in mid-town. They never close just one set of streets, in or out. They always have multiple routes in and out of a location. It impacted mass transit. Mid-town has no overhead train tracks to shut down for extended periods. 125th Street is a major east-west bus route that was being disrupted. There are "obstacles" to navigate in the immediate surrounding area such as parks and Columbia University. Nope, it was a great gesture, but it just didn't work out well for someone needing Secret Service protection. @ Robert how did you type that i bet you lol the entire time . I did bahaha bahaha baha baha ha . I wonder how many people she has to employ in the Bimbo Eruption Dept.??? so you readily admit hillary clinton is spinning a big fairy tale story, aka lies. thanks for being honest. "your mom still loves you though, be thankful for that much." In less than a hour Patrons the public library will be closing . Will be closed and will reopen at 8am in the morning . Thank you . Only 4000 square feet, that won't be big enough for a campaign office, Pelosi moved from a 6000 sq ft office to a 10000 sq ft office at 3x the cost to the taxpayer because as she put it she needs the room and she is not running for anything.